Built in 1519, the graceful, single-domed Goaldi Mosque is the most impressive of the few extant monuments of the old capital city, and a good example of pre-Mughal architecture. 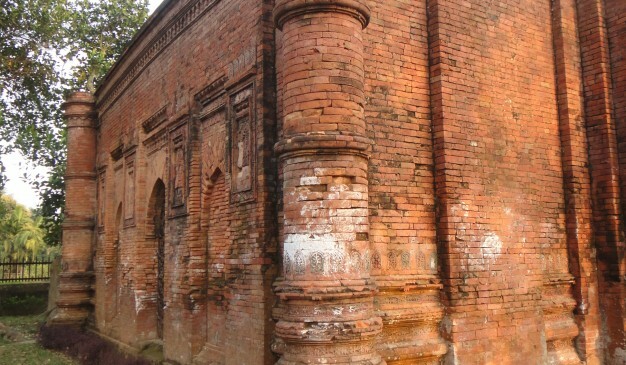 This mosque is one of the few remnants from the Sultanate period in Sonargaon, during the reign of Sultan Hussain Shah in 925 Hijri (1519 AD). 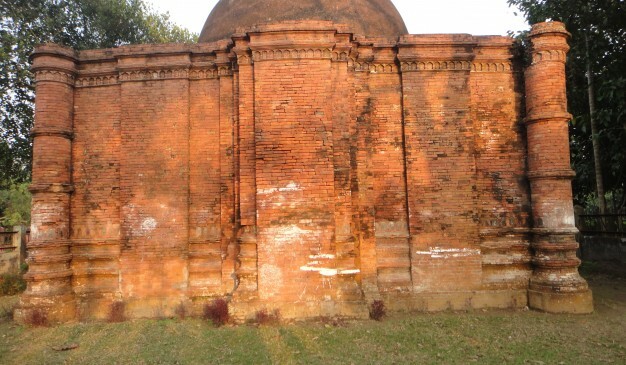 It was built by Mulla Hizabar Akbar Khan in the early 16th century, during the reign of Alauddin Husain Shah at a place called Goaldi – half a mile northeast of Panam village in Sonargaon. 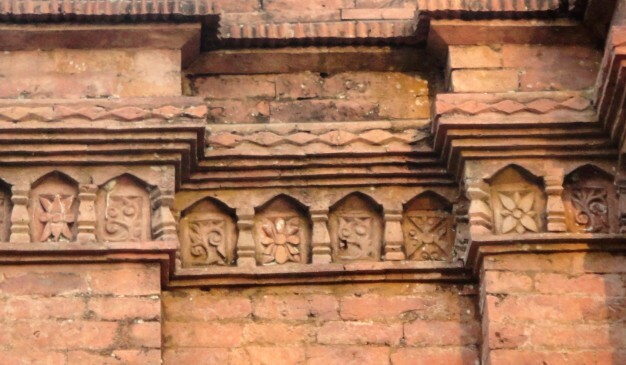 Sonargaon was the administrative center of medieval Muslim rulers of East Bengal. 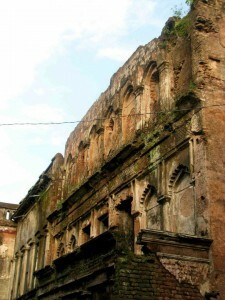 It became as the capital of Bengal during Isa Khan’s ruling. The area falls under present-day Narayanganj District, Bangladesh. 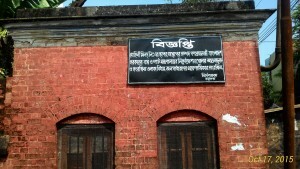 This mosque is more elegant and ornate in comparison to the earlier Sultanate mosques at Bagerhat. 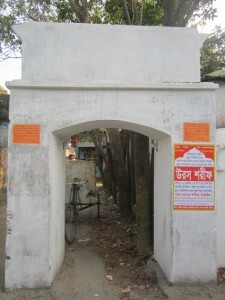 Our suggestion is to take a rickshaw from Mograpara crossing of Sonargaon. It’s a prime responsibility to abide by the instruction of authority and Dept. 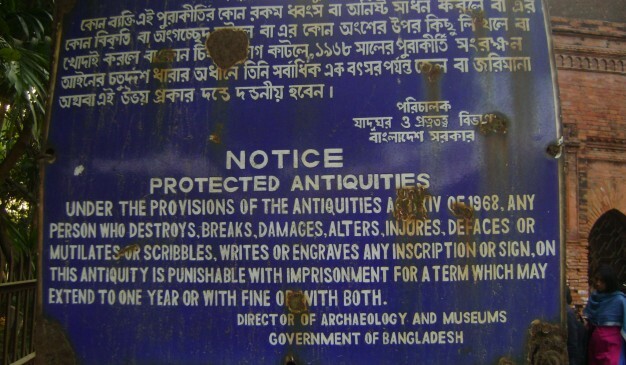 of Archaeology (Bangladesh) whenever we get the chance to enter into the Mosque like sacred Archaeological Places. Observe the architectural beauty of this Mosque and communicate with the local people to know about their knowledge about this uniquely decorated Mughol Mosque. Tajmahal of Bengal (বাংলার তাজমহল) is a scaled copy of the original Tajmahal (a Mughal mausoleum located in Agra, India) located 10 miles east of Sonargaon. 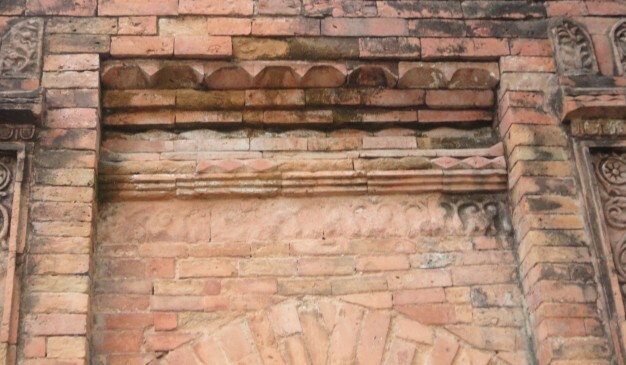 Unlike the original, work on the building took only five years. 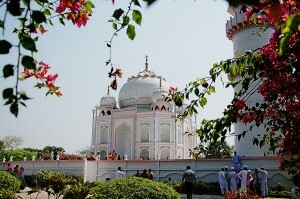 Ahsanullah Moni, a wealthy Bangladeshi film-maker, announced his 'Copycat version of Tajmahal' project in December 2008. The project cost about USD$ 56 Million, and was built to the northeast of Capital Dhaka. 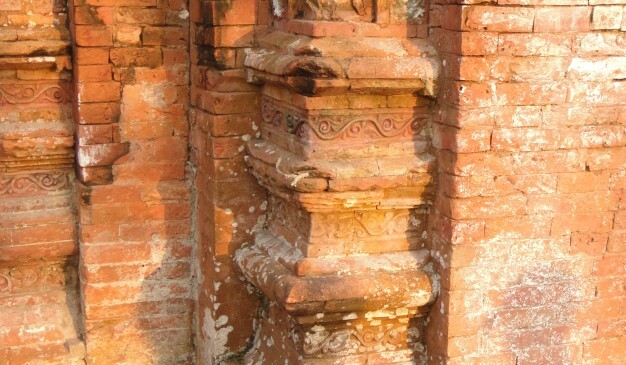 This caused complaints from Indian officials that copying Historical Monument is Illegal. Founder explained that he built this replica of the Tajmahal so that the poor people of his nation can realize their dream of seeing neighboring India's famed monument. 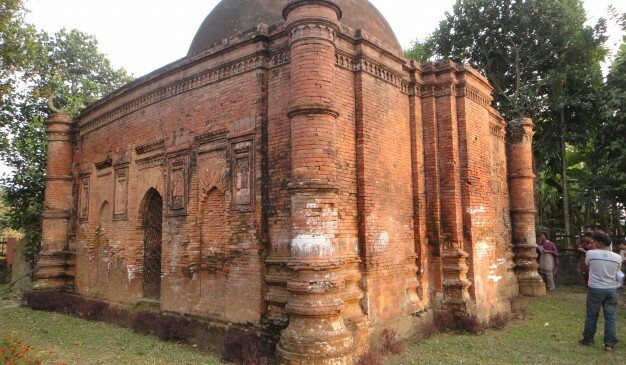 Besides the city and the miscellaneous picturesque establishments of state like Royal Palaces, court buildings, etc, this mosque is one of the few remnants from the Sultanate period in Sonargaon.